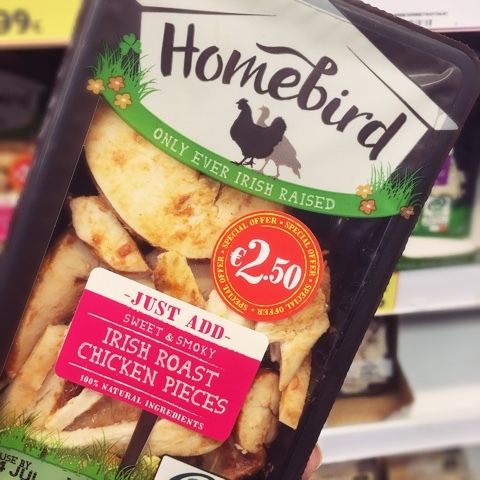 The Skinny Doll: Bringing it home with Homebird! 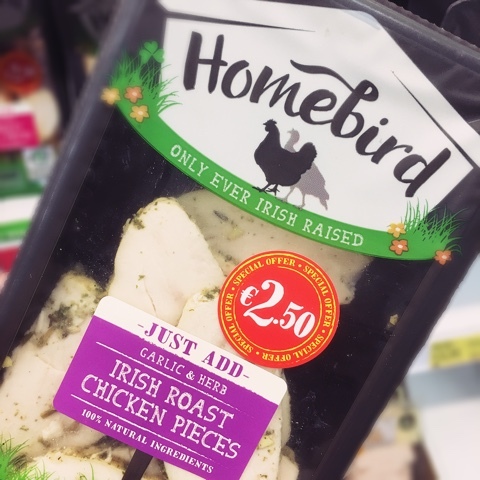 The garlic & herb chicken with some 'lighter than light' mayo in a wrap is SO good! Well worth 1SP for 100g! The smoky one is perfect for home made pizza wraps... pile on all the free veggies (tip: roast some red onions in balsamic vinegar and they'll be so sweet) with some worcestershire sauce or a dollop of BBQ sauce - delicious! 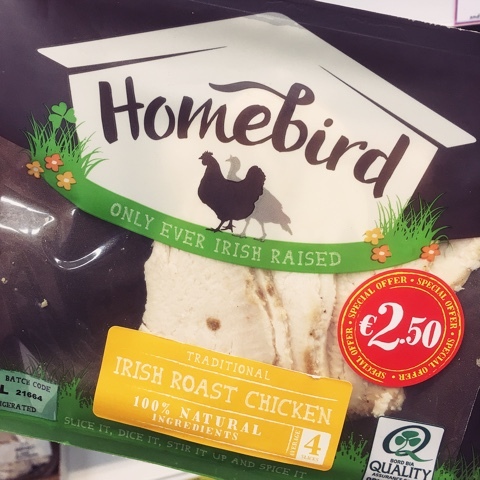 Plus HomeBird are literally everywhere, so no excuse at lunch time (especially now summer is coming... ignore that snow outside!) ... lots of fresh lettuce, baby tomatoes, beetroot, spring onions and a pack of this and some dressing you've a massive lunch for 2SP max! No excuse to not be eating well! 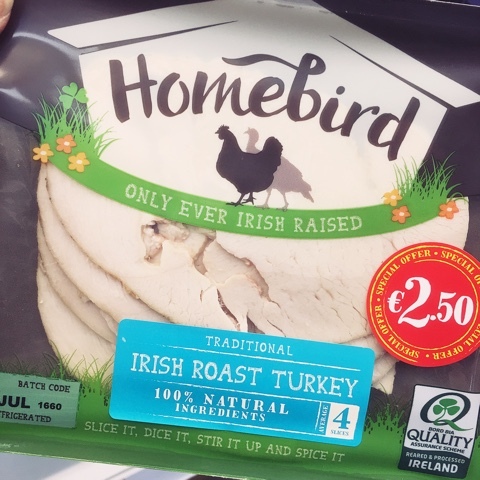 The surveys and focus groups say we all want to buy local and buy Irish... but not just any old shamrock on the pack will do... It's got to have the Bord Bia logo to be 100% Irish, otherwise it's meat that's butchered and processed abroad, maybe just sliced in Ireland or packaged in Ireland but it's not an Irish Product... Something I'm really going to be keeping an eye on in future!